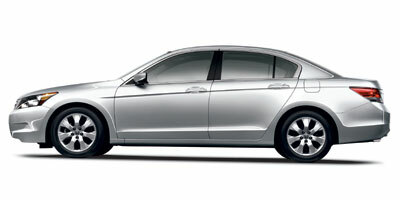 After a major redesign for the 2008 model year, Honda hasn’t laid a finger on the 2009 Accord. Don’t be fooled by the moderately altered horsepower and torque figures for the V-6, they’ve only changed because Honda originally underestimated the power output of the Accord. That’s pretty surprising since impressive numbers seem to be what this popular car’s all about. Over the course of 2008, the Honda Accord racked up a number four spot in America’s best selling cars list, just below its direct competitor, the Toyota Camry. Honda has opted not to mess with success, and rightly so. The four-door sedan comes with two engines choices, a four-cylinder which is tuned to two different power outputs and an impressive V-6. Both are incredibly capable, and drive quality has continued to near closer to perfection with each generation. While we’re not crazy about the overwhelming instrument panel, the overall feel of the cabin is crisp and inviting. And with a few checks of an option box, it can be downright luxurious. The Accord is also practically customizable, with a multitude of trim levels on offer. Seems like the 372,789 of last year’s buyers were really onto something. Its base four-cylinder engine delivers more grunt than most in its class and the small upgrade to the retuned version of the engine makes a big, and welcome, difference in power. A trunk this large can fit a house’s worth of Ikea flat packs. If two people over six-foot-four can sit directly behind each with legroom to spare, most everyone else should find the interior to be cavernous, to say the least. Compared to the Camry’s, the center stack is overly fussy with a confusing array of too many buttons and knobs. Passengers unfamiliar with the car had trouble with the unintuitive manual door unlock, which looks as though you should pull it to unlock, but it actually requires pushing. This four-door is the ultimate dependable ride – it does carry the Honda name after all – with a surprising amount of get-up-and-go for a 3200-plus pound vehicle. Yes, the V-6 is more exciting to drive than the four-cylinder, but the smaller engine is zippy as well. Even with the base model’s 177 horsepower, it has ample power to carry this car along the road. And the additional 13 hp in the premium trims makes you wonder if the V-6 is necessary. Road noise is a problem on all trims, though it isn’t bad enough to be a huge deterrent. The suspension softens even the worst of potholes, and the Accord’s handling has been sharpened since the last generation to make the unwieldy-looking car quite nimble around corners. Wind noise is virtually nonexistent as well, further ensuring a most comfortable ride for all occupants. Though the front-wheel drive Accord has just two engine types, the four-cylinder has been tuned to two different specifications, depending on which trim appears more enticing to you. The LX’s inline-four produces 177 horsepower and 161 lb-ft of torque. The same engine delivers 190 horsepower and 162 lb-ft of torque for the EX and EX-L. If you're eager to fly down those suburban streets with 271 horsepower and 254 lb-ft of torque, the available 3.5-liter V-6 in the EX and EX-L will be the engine for you. Both are available with a five-speed manual or five-speed automatic transmission. The V-6 coupe trim adds a six-speed manual option instead of the five-speed. Most buyers won’t need to dig very deep into the options list, especially if purchasing the EX or EX-L. On all models, you’ll find a satisfying amount of standard features. Air conditioning, cruise control, speed-sensitive volume control, tilting and telescoping steering wheel with audio and cruise control buttons and power doors and windows are included in even the base trim. We’d recommend the navi system and the Bluetooth capability, especially with various driving with cell phones laws passing all over the country. An auxiliary input jack is also available on all trims. Honda’s satellite-linked navigation system can use voice recognition to find the nearest gas station or restaurant, keeping your hands firmly gripping the steering wheel. Its eight-inch LCD screen makes browsing through the system fairly straightforward with efficient menus and an effective push button dial for scrolling. The system also displays Zagat reviews and ratings, and if a phone is hooked up to the Bluetooth, the user can call the restaurant through the system. The Accord assuages all environmental concerns thanks to its Partial Zero/ULEV-II emissions rating for all engines. The four-cylinder gets a rewarding 21 mpg city and 31 mpg highway with the auto and 22 mpg city with the manual. The V-6 returns 19 mpg city and 29 mpg highway, an impressive feat for a car pushing out 271 horsepower. With last year’s redesign and the addition of 3.3 extra cubic feet of space, the Accord was bumped up to the large sedan class, meeting the likes of the Hyundai Sonata, Toyota Avalon and Pontiac G8. The seats are large enough that even one stuck in the rear middle seat won’t be wanting for room. Distracting from the generally good-looking interior is a cluttered center stack. It needs to be edited badly. The sedan is three inches longer than the previous generation, making its 194.1 inches a whole four more than the Camry’s. The coupe is no shorty either, and is smaller by only 3.2 inches. The exterior look features a more aggressive front-end and distinct, crisp lines. Sinewy styling finds a place among others in its class and is much cooler than previous models, but its overall design lacks originality. The slightly higher $20,905 starting price for the LX over the 2008 model rises steadily – but minutely – as the trim levels change. The LX Premium is $21,905, the four-cylinder EX goes for $23,605 while the V-6 version meets $26.605. The four-cylinder EX-L starts at $25,605 and tops out at $28,705 when coupled with the V-6. The coupe enters the market at $22,405 and nearly matches the sedan at $28,955 with the EX-L V-6. Though the Toyota Camry has long been a thorn in the Accord’s side, it is up against a crowd of Chevrolet Malibus, Hyundai Sonatas and Nissan Altimas as well. By leaving the 2008 redesign alone, Honda is announcing they are happy with their complete overhaul of the Accord. The hundreds of thousands of buyers who snatched up the latest iteration might also be a good indication that the company is doing something right with their family four-door. Ride quality, already great, has been perfected further, and standard features play well against the competition. Honda’s clearly got another winner on its hands.